A stunning Christmas bauble with a stunning reindeer figurine. 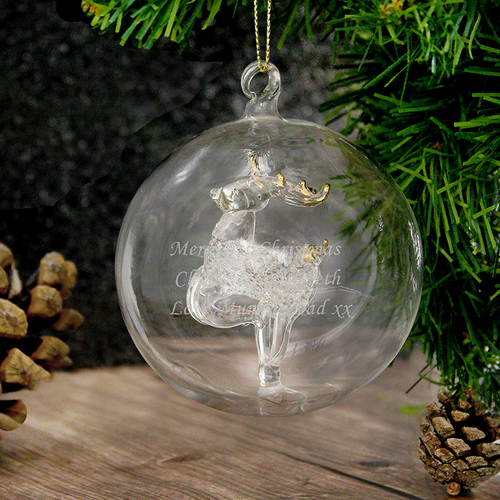 A beautiful glass bauble with a glass reindeer inside, carefully engraved with any message of your choice up to 60 characters over 3 lines with up to 20 characters on each line. Engrave ith any message of your choice up to 60 characters over 3 lines with up to 20 characters on each line.